*Belgard Authorized Contractor* Keyestone Interlocking Paving has been providing quality service to customers since 1985. We provide service to Lee and Collier counties, and our estimate is always free. Whether you’re an individual homeowner, builder, or developer, Keyestone provides tailor made solutions and designs to fit every need. We own an extensive fleet of trucks and equipment enabling us to be responsive to your needs and meet your project’s goals. From selecting your styles and colors of pavers to the final installation, our experienced and dedicated staff works with you to provide innovative, esthetically pleasing, and practical solutions to your paving challenges. Whether you're an individual homeowner with a small patio to install or you're the builder or developer of a gated community our experienced and dedicated staff works with you to provide innovative esthetically pleasing and practical solutions to your paving challenges. We invite you to visit our brand new showroom. All of our installers are our employees and we own an extensive fleet of trucks and equipment enabling us to be responsive to your needs and to meet your project's goals. To find the level of quality in Naples Pavers, Naples Paver Companies, Accurate Paversour work, all you have to do is ask our customers. 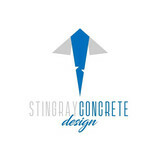 We are a Naples paver company that believes you’re only as good as your last job and live up to this idea. It is our goal to ensure everyone we work with receive the highest level of quality when they are having pavers installed around their home or business. 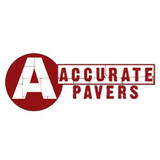 Accurate Pavers is a paver company that is large enough to meet all your needs and wants and small enough to care about each job and each customer individually. 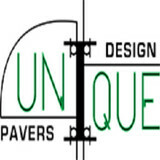 What sets us apart from other paver companies in Naples and Bonita Springs is our true concern that you get exactly what you have always wanted for your home or business. Each of our wonderful salespeople takes on their own projects, from take offs, to estimates and throughout the entire installation process. This means that they have accurate and complete knowledge of everything you wanted and can ensure that everything is being done correctly, completely and on time. Unlike other paver companies who just add you to a pile of customers and projects, Accurate Pavers always take the time to make sure we know everything our clients want. Your driveway is the first thing people see when visiting your home. A concrete driveway offers a wide variety of design options that can make a difference in landscaping as well as increase your property’s value and curb appeal by presenting a fresh, professional entrance. Our business is our livelihood but it is also so much more. Unique Stone & Pressure Wash USA LLC was started to fill in a void in the current market and to make a business that people can place their trust in. Over the years we have never lost our commitment to our clients and that is what has allowed us to succeed in a very competitive industry. The employees of Unique Stone & Pressure Wash USA LLC stand committed to our purpose and will provide the best service! In the field of custom water fountains & water attractions providers Waltzing Waters, Inc is a name to reckon with. For getting further details about our indoor shows, outdoor shows facilities visit our site. From installation to repair, Tice, FL driveway contractors are responsible for a variety of planning, installation, construction and driveway maintenance services. Driveway materials. While most driveway contractors in Tice, FL primarily work with asphalt, they are also experts on the wide range of available driveway materials. If you are looking for something different than a standard asphalt driveway, your pro can help you select driveway pavers or customize a brick driveway design. A driveway installation and maintenance professional may work closely with a Tice, FL builder, landscape professional or various manufacturers and suppliers. Find a Tice, FL driveway installation and maintenance professional on Houzz. Narrow your search in the Professionals section of the website to Tice, FL driveway installation and maintenance. You may also look through Tice, FL photos to find examples of driveways that you like, then contact the professional or contractor who worked on them.